Not everyone sets up a power of attorney or sets up a health care directive as part of a broader estate plan. Unfortunately, this could mean that if the person becomes incapacitated or mentally unfit to handle his affairs, a guardian may need to be appointed by a court. Usually, a family member requests a court for the appointment of the guardian. Guardians can also be family members. A family member or another interested party may request a guardian when it is clear that a person is not able to handle a routine matter such as paying bills or making other important decisions. This is often an involuntary guardianship. In Florida, a person may also petition a court to appoint a guardian under voluntary guardianship. A guardian can be appointed to handle a person’s estate, or a guardian can be appointed to assist a person by making medical decisions. A guardian over the estate would handle all financial aspects of a person’s estate. From the descriptions, it is clear to see that a guardian takes on the same role a person who holds power of attorney would take on, and that which would be accomplished through a healthcare directive. Therefore, a person who plans ahead and has these documents in place and has carefully selected people to make these important decisions for him in case of incapacitation would not generally need a guardian. Courts do not prefer to appoint guardians when power of attorney, and health care surrogates or proxies have already been appointed. However, in some cases, even with a power of attorney, a guardian may be appointed if the person with power of attorney is accused of stealing funds or other impropriety. Additionally, if a person only has a power of attorney in place but no one to make medical decisions, a guardian may be appointed to handle the medical decisions. The same would be true for a person with a healthcare directive but no power of attorney. When a court appoints a guardian over a person or an estate, the court generally keeps watch over the guardian’s actions and this can help if there is concern over mismanagement of the estate. However, court supervision comes with a tradeoff that may not be welcome by some. Court documents become public, and can be searched more openly without any real privacy for the person for whom the guardian is appointed. Guardianships can also be very expensive in terms of fees for the guardian and other associated costs, which may not be cost-efficient in the long run. Guardians are compensated for their work as approved by the court. Establishing a health care proxy and transferring power of attorney can help you avoid a court setting in to appoint a legal guardian to handle your affairs when you are incapacitated. 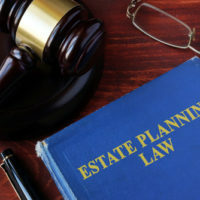 To make your own choice of who would make key decisions in your life when you can no longer do so, contact an experienced estate planning attorney in The Villages, Florida. Call the Millhorn Elder Law Planning Group for a consultation today.